Here's all the information you need on the brand new Destiny 2 Gambit mode, as well as The Last Wish Raid, Forsaken Exotic weapons, and the Ace of Spades. The Malfeasance weapon is undoubtedly one of the more powerful weapons that the Destiny 2 Forsaken expansion has to offer seasoned players, but it's tough to unlock. In this Destiny 2 Malfeasance guide, we'll be walking you through how to complete the Destiny 2 Seething Heart quest, which grants you the poweful weapon. But if you instead need any other help with the latest batch of DLC content for Destiny 2, you’ll want to head over to our complete Destiny 2 DLC guide. It’s on this main page that you can find all the information about the Forsaken expansion, as well as all the information about what the future holds for Bungie’s FPS. If you want to get your hands on the Malfeasance Exotic hand cannon in Destiny 2, you're firstly going to have to know you're way around Gambit, one of the new additions in the Forsaken expansion that blends PvP and PvE together. You'll have to keep on playing Gambit on repeat, until your team successfully defeats the Ascendant Primeval Servitor. After you've done this, the Seething Heart quest will kick off. Just below, we've listed out how to easily complete the Seething Heart quest in Destiny 2. 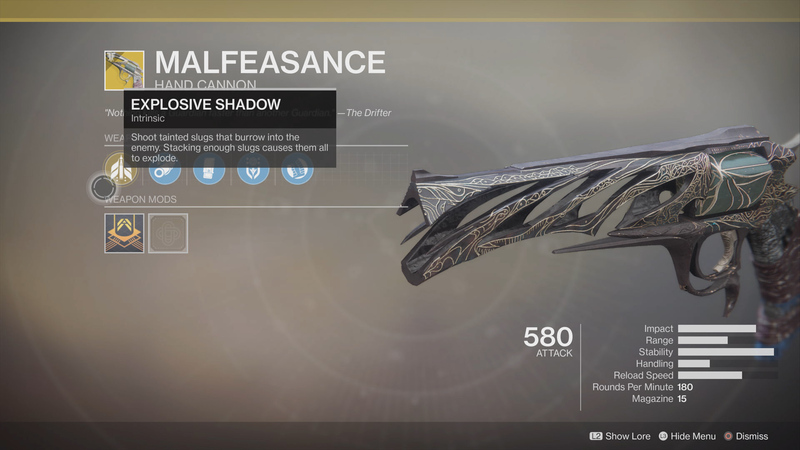 At the very end of this quest, you'll be granted the Malfeasance Exotic hand cannon as a reward. Visit the Drifter in The Tower. Defeat 25 Taken bosses or mini-bosses in The Dreaming City. 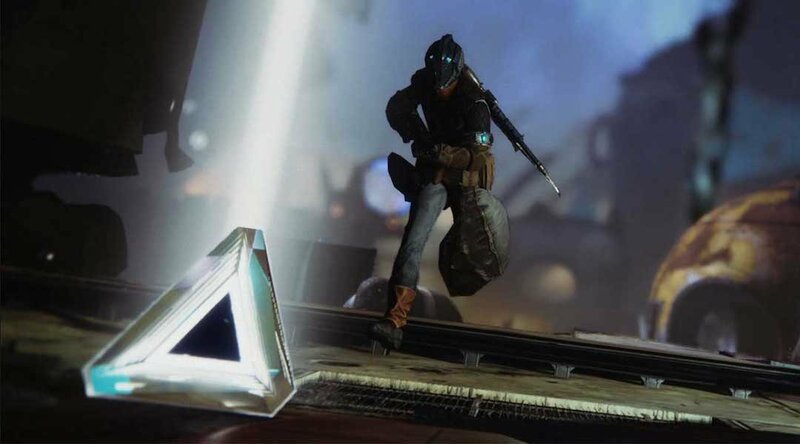 Desosit Motes in the Gambit mode. Invade the opposing team in Gambit and defeat 25 Guardians. Either defeat four invading Guardians in Gambit, or have a teammate defeat four invading Guardians. After this, the Malfeasance Exotic weapon will be yours for the taking. This is actually the Exotic hand cannon that was teased by Bungie before the Forsaken expansion had even launched in Destiny 2. After you’ve landed five hits in a row via Malfeasance, a huge explosion will detonate on the point of impact, causing huge damage to any enemies caught in the blast. It's a great weapon if used correctly, and well worth attempting the quest to obtain. If you're after more info on Destiny 2 and exotic weapons found in the Forsaken DLC, we've got the guide for you. Head over to our Destiny 2 Forsaken Exotic weapons guide for all you need to know.